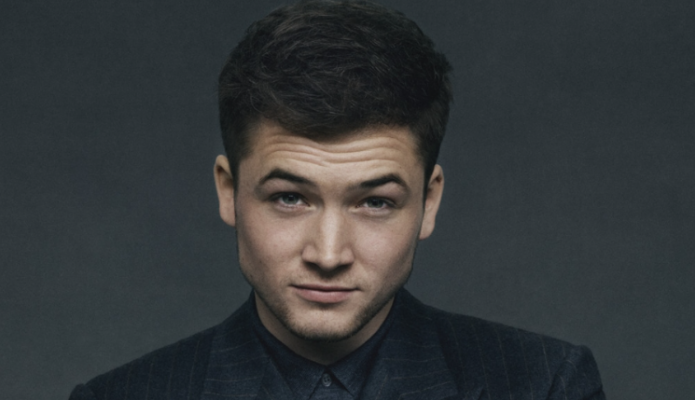 Welsh-born actor Taron Egerton is the one to keep your peepers on. He stormed into prominence with his portrayal of Gary ‘Eggsy’ Unwin in ‘Kingsman: The Secret Service’ earlier this year, alongside acting heavyweights Colin Firth and Michael Caine, and he’s not stopped working since. Named as one of GQ’s 50 best dressed British men in 2015, Egerton’s transformation from RADA graduate to well-groomed main man means he’s truly on the Grooming Guide radar. With roles as Eddie ‘The Eagle’ alongside Hugh Jackman, and as the enigmatic sidekick Edward ‘Mad-Teddy’ Smith in ‘Legend’ (staring Tom Hardy as both the Kray twins) Egerton looks set to continue his stellar run, wowing audiences with his ability to transform into a diverse range of characters. 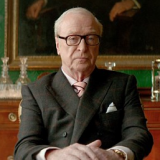 But we here at Grooming Towers wanted to grab five minutes with the rising star to discuss what’s in his personal grooming arsenal – and find out if Michael Caine imparted any sleek advice to the newest kid on the block! In the last few years you’ve gone from RADA graduate to well-known actor. Do you think you place more importance on grooming now that you’re in the public eye? Probably less than I should! No, of course I’m much more aware of grooming now – not that I really get recognised much! I would say I have learnt a lot more about style over the last few years, what I like to wear and what suits me. Gone are the days of living 24/7 in grey joggers like I did at drama school. That’s not to say I don’t go back to the trusty jogging bottoms every so often, I just keep it to round the house or when I’m working out. In ‘Kingsman’, your character goes through a ‘makeover’ – did you pick up any stealth grooming advice from on-set? 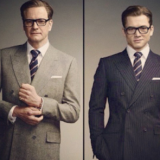 I was lucky enough to wear some beautiful bespoke suits as part of my character Eggsy’s transformation. I now have quite a taste for them, they change everything; the way you hold yourself, they give you a certain confidence, they act almost like a second skin. 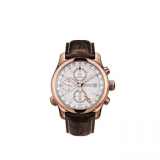 Also, before ‘Kingsman’ I never really understood the importance of a good watch – now my Bremont is practically welded to my wrist, I haven’t taken it off since I finished filming! It means I no longer have an excuse for being late though…! Working with acting heavy weights Colin Firth, Samuel L Jackson and Michael Caine, did they impart any grooming or style advice, or did they have a particular influence on your grooming/style? And not forgetting Mark Strong! They are all very handsome gentlemen, who each have their own distinct style which makes them stand out as individuals. I guess that fact alone was quite influential and inspirational. I never quite got round to having the conversation with Sir Michael Caine about his morning grooming ritual though! 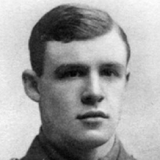 In Testament of Youth, you play a young man going to war in 1914. Did you enjoy being styled and groomed to fit the times? You know what, there is something incredibly sharp about the classic short back and sides cut, I can see why that hairstyle has done a full circle and has come back into fashion. I loved wearing the army suits as Edward, they have a real weight to them, both literally in a physical sense and historically. It helped me a great deal with instantly transporting me to the era of the First World War. What’s your at home grooming routine like? Do you have a favourite product/products that you rely on? 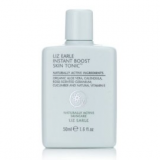 I wouldn’t say I have a ‘routine’ as such but products I do use and always make me feel fresh are Liz Earle Instant Boost Skin Tonic – it makes you feel like you’ve had 10 hours sleep when in reality you’ve probably had a lot less! 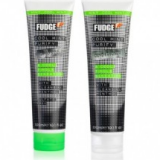 Kiehl’s do an amazing shower gel that’s great and I love the cool mint FUDGE shampoo and conditioner. That wakes me up! But if nothing else just a proper thorough teeth brush! Do you have a favourite scent that you’re loyal to? I wear Valentino and have done for the last few years; it feels like my smell now and I wouldn’t change it. Have you had any grooming disasters? I think I went through the classic ‘mum bowl-cut’ trauma as a kid, but I think that’s a right of passage when you’re young isn’t it? Even now when I see my mam with a pair of scissors it gives me shivers and nightmare haircut flashbacks! What’s your ritual to get ready for a big event? 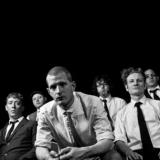 It is definitely a bit of a last minute jobby – probably spend too long in the shower whilst listening to some great tunes to get me pumped up, something from great new band ‘Lazy Habits’ or something a bit more old school and timeless like Stevie Wonder. 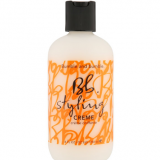 Then wack a bit of product in my hair, (Bumble and Bumble Styling Cream has always done a very good job) and a splash of Valentino and a swig of something fizzy, then I’m out of the door. Who is the one person (dead/alive/imaginary) that you look up to in terms of grooming and style, and why? 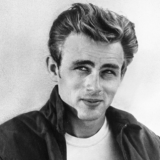 James Dean was a bit of a boss wasn’t he? Classic jeans, tee and and a leather jacket…can’t go wrong! Looking forward, you have two very different projects on the horizon (as Eddie The Eagle and in Legend) : can you tell us a little about them and what they mean in terms of the different looks that you have to create and embody? 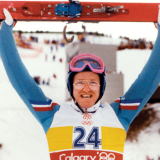 I have just finished filming ‘Eddie The Eagle’ as Eddie (who was the first competitor to represent Great Britain in Olympic ski jumping back in the 1980’s) and then ‘Legend’ comes out in September this year. Mr Eddie certainly had his own style going on! Over the last couple of months I’ve actually become quite attached to those iconic glasses. Not sure I can say quite the same thing about those 80’s ski suits! As for ‘Legend’, I got to wear some pretty suave 50s suits alongside Tom Hardy. Playing dress up as an actor is definitely all part of the fun and variety- I get to wear things I would never normally get the chance to. I’d have to say whenever I’m with my boys back home in Aberystwyth. Sun shining, beer in hand with my best mates on the Royal Pier, can’t beat it.